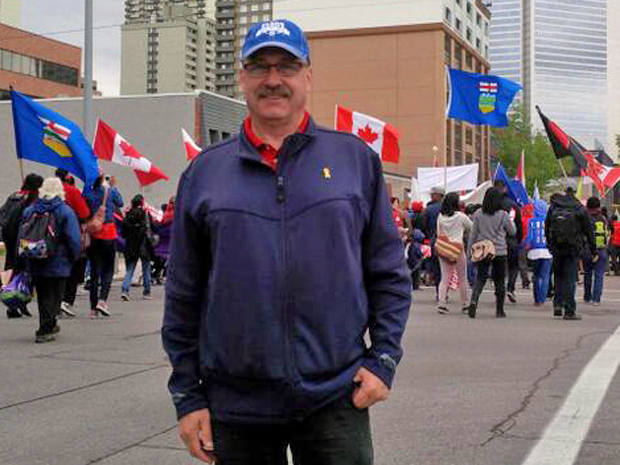 CALGARY – PC leadership candidate Ric McIver is facing some controversy over his participation in an event hosted by a religious group that has anti-gay messages on its webpage. McIver opened the 2014 March for Jesus at Millennium Park on Sunday, and tweeted a photo while at the event. However, his decision to attend the march sparked debate on Twitter, due to provocative statements on the March for Jesus site. According to their webpage, one of the organizations helping to support the March for Jesus is the Street Church Ministries. Some Twitter users were so upset with McIver’s decision to attend the March for Jesus, they asked for him to step down from the Alberta PC leadership race. McIver responded with a statement on his Facebook page. He says he was proud to celebrate diversity in Alberta and as premier, he would continue to defend equality rights for all Albertans. McIver adds that he deplores discrimination against all groups and individuals without exception. 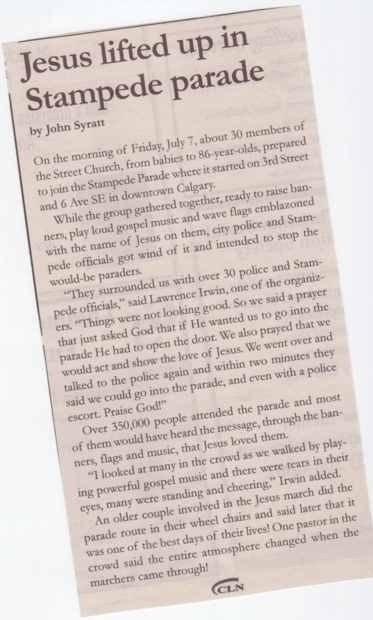 “Yesterday, I helped open the March for Jesus in Calgary. In my remarks, I talked about how I have been able to celebrate the diversity of Alberta by taking part in celebrations of many religions, cultures and traditions that make up Alberta, and this was a day to celebrate my own Roman Catholic faith with other Christians. I have attended the opening of this event for the last 4 years. For years, I have also attended events with other faith communities, including Sikhs, Muslims, Hindus, Jews and secular events with many diverse communities from around the world. I sent a tweet about how it was good to see Alberta flags. To me, this was indication of how all Albertans can take part in celebrating their faith and culture openly in our province. Since then, I have received many communications about negative text on the March for Jesus website. 2. The website in question is not my website and does not describe my views. 4. As an Albertan and if chosen Premier, I do and will continue to defend equality rights for all Albertans as defined in the Charter, including sexual orientation. I deplore discrimination against all groups and individuals without exception. “Individual members are expected to follow our Statement of Principles, which includes that of being an open party that’s accessible to all Albertans. Closed mindedness or intolerance have no place in the PCAA.